New and old colorways of the Air Jordan 10 have already made waves in the market like the “Chicago” colorway, which required a re-stocking after it was sold out very quick. 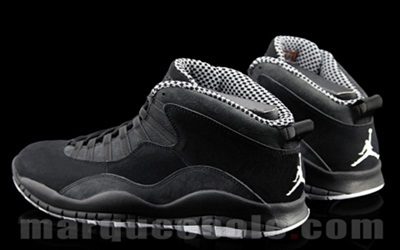 Another edition of the Air Jordan 10 has surfaced and although it is not as glamorous as the “Chicago” and “Old Royal” edition, this one is expected to get attention with its black and grey suede upper part combined with white branding. No official release date as of now, but we will definitely keep you updated.